Now that John and I are “settled” back home, we wanted to give you some input from the trip. To quote a phrase our group kept saying at the closing circle: “IT WAS LIKE MAGIC, IT WAS MAGICAL”! We truly had performed the alchemy of openness and love in our family group….and yes that was what we had become in the short time we were together, a CLOSE family group. We all knew we were truly blessed when we started interacting with each other from the very first day. I can understand that we are all one coming from ‘Prime Creator’, but to actually be closer, as the sister I found in Jackie, was phenomenal and very unexpected. But, John and I went to Mt. Shasta with an open mind of “no expectations, no judgments”. The Masters and spirit, our space brothers and sisters, all of our spiritual family that we interacted with, you couldn’t help feel the concern and love they have for all of us and Mother Earth. They would have to in order to hold up their evolution level. We would have been satisfied with just being with you and the group and enjoying all the parks (sites) that you took us to. Valerie, you are so loved by us and we wanted to thank you for sharing yourself, the channeling from the Council of Twelve and Master St. Germain, for being a true friend to Aurelia, Nora, Nan , Victoria and David, as well as all the light workers you come in contact with. It is the person you are, with your humor, love and devotion, that had made the retreat possible to become so “SPECTACULAR”. We couldn’t have ever imagined that we were that special and loved, but know that now by the beautiful night show we were given on the mountain and the privilege to perform the ascension ceremony at Aurelia’s special portal. John and I are planning to come again next year, by hook or by crook, so they say. But, if it is the place we are to be again, it will be so! Please let us know, as soon as possible the dates for next year’s retreat, as John says there is only one room left at Dave’s Bed and Breakfast already. Thank you again for this most special Retreat and for just being YOU. “Valerie conducts a well paced retreat that nourishes body and soul. Physical and spiritual activities are conducted seamlessly in a revitalizing environment that ends far too soon. As sad as I feel to leave each year, I feel the effect long afterwards. As I drive home, I am looking forward to coming back in October.” M.M. “What an exceptional experience I had at Mt. Shasta with you! It was relaxing at the Mineral Springs; our meditations and channelings with you were soul-inspiring. The mountain and beautiful sky fed each of us. 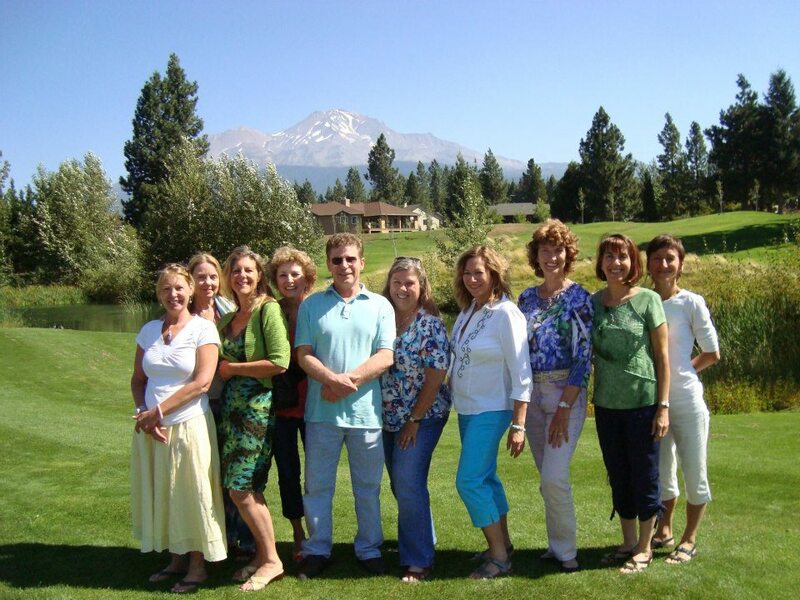 I recommend this trip to others who want personal growth along with a stress-free environment.” S.K. “This retreat was a heart opener and it has not stopped!” D.K.